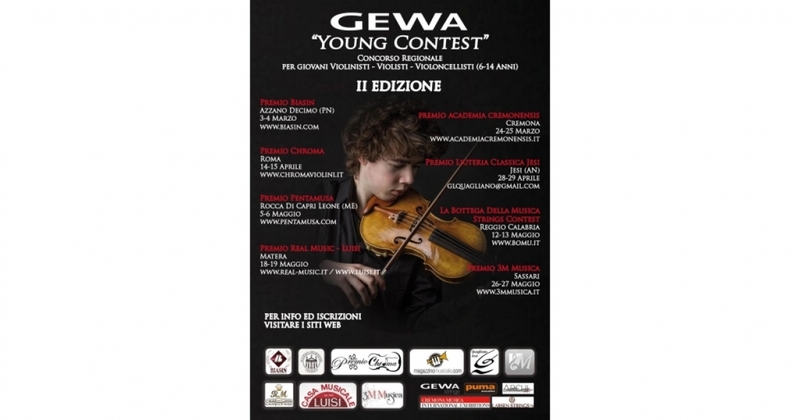 “Gewa Young Contest” is the contest for talented string instruments players organized by Gewa Music. 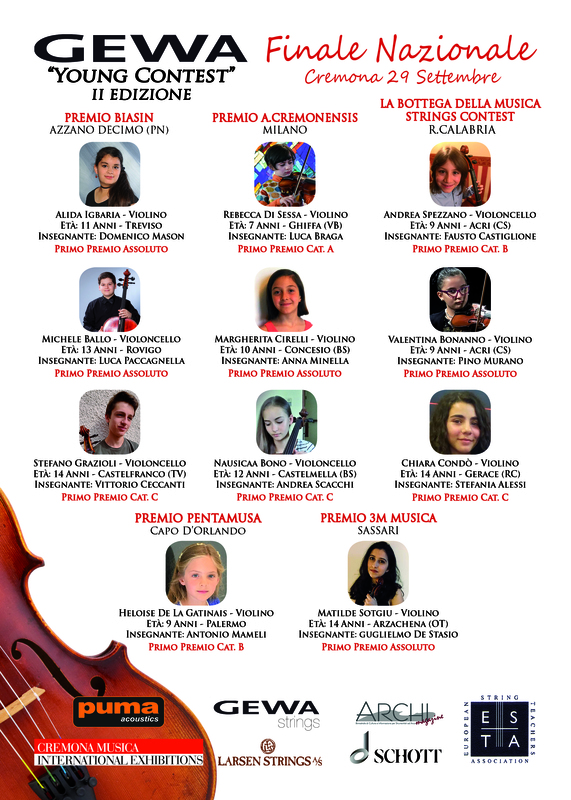 The competition including eight regional selections and the national finale addresses violin, viola and cello players aged between 6 and 14 years. 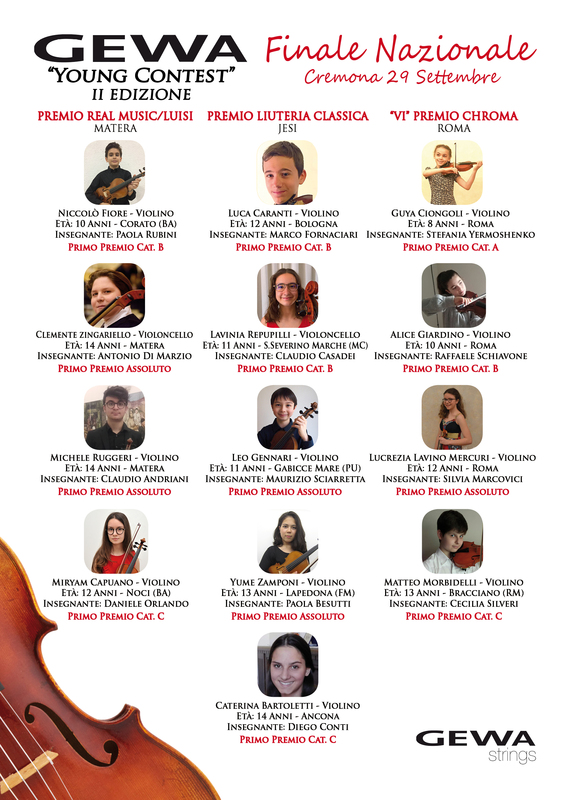 The winners will be awarded with a prize of scholarships and an acoustic correction system and with the opportunity to perform with the Ensemble I Musici the same day at a prestigious building in the center of Cremona.